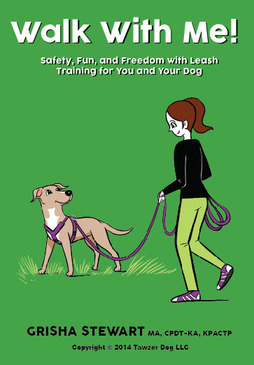 What have you learned from teaching dog trainers? Lately I'm as fascinated by human behavior around dogs as I am by dogs themselves. I'm curious about how individuals reach the critical tipping points that allow them to embrace and explore more ethical methods. Can learning theory help us create more productive conversations about how dogs share our lives? Do you have a case study that you find yourself referencing more than you thought you would and why do you think that is? At the recent Clicker Expo in the UK, there was a disconnect (came about due to two conflicting presentations between the ABC trainers and Prof Daniels Mills) between the work on emotions (Pankseep) driving behaviour vs consequences driving behaviour. I wondered what Susan was thinking about this. Thoughts on the resiliency of animals and how to help our clients get past "controlling" dog behavior versus allowing our dogs to behave by reinforcing those behaviors that we desire within our shared relationships. For you, what skill set is most important for us as dog trainers to teach our human clients? Is that different than your favorite skill set to teach? I need that treadmill reinforcement information! My question is about motivation. If rearranging the environment is not possible, how do we externally motivate an animal who is being intrinsically reinforced by a natural behavior that results in a secondary behavior needing to be modified? Ex: Hound pulling on leash to scent. Susan is an expert in how animals learn (including dogs, parrots, and humans) and how we accidentally teach them the behavior we don't like. She is an advocate of removing labels, like "aggressive dog" or "fear biter" because they get in the way of good training and learning. In the last several years, Susan has pioneered efforts to apply to animals the humane philosophy and scientifically sound teaching technology from the field of Applied Behavior Analysis, which has been so effective with human learners. The guiding principle of this approach is a hierarchy of teaching interventions starting with the most positive, least intrusive, effective behavior solutions. In dog training, Susan's "Humane Hierarchy" is one of the gold standards for assessing behavior modification techniques. 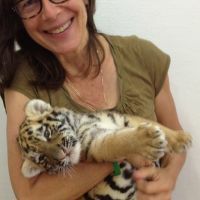 Susan is a steadfast proponent of changing behavior through facilitation rather than force, focusing on animals' extraordinary biologic capacity to learn by interacting with their environment. She teaches that by changing the environment for success, animals learn to behave successfully. Susan is a faculty member in the Department of Psychology at Utah State University. 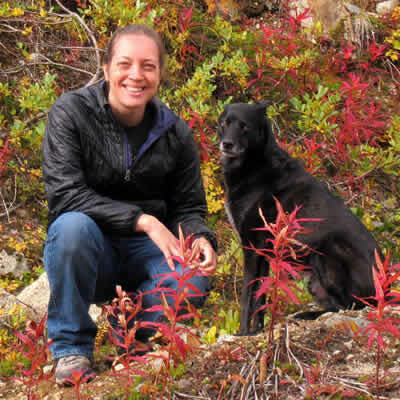 She has helped pioneer the cross-species application of behavior analysis to animals, using the same humane philosophy and scientifically sound teaching technology that has been so effective with human learners. She has written chapters in three veterinary texts, and her popular magazine articles have been translated into 11 languages (www.behaviorworks.org). Susan also blogs for Psychology Today (www.psychologytoday.com). Susan has given seminars on learning and behavior around the world (Australia, Botswana, Canada, England, Holland, Ireland, Israel, France, New Zealand, and Sweden to name a few); at zoo facilities (Assiniboine Zoo, Audubon Zoo, Cheyenne Mt. Zoo, Dallas Zoo, Denver Zoo, Houston Zoo, London Zoo and San Diego Zoo); and conferences (International Association for Aquarium Animal Medicine, the Association of Avian Veterinarians, the European Association of Zoos and Aquaria, Moorpark College’s Exotic Animal Training, NASA’s Goddard Space Flight Center, and the San Francisco SPCA Academy for Dog Trainers). She has been the Keynote Speaker at Karen Pryor’s Clicker Expos and the International Marine Animal Trainer’s Association (IMATA). Susan was a core member of the now retired US Fish and Wildlife Condor Recovery Team and has been nominated for the Media Award given by the International Association of Behavior Analysis, for disseminating the essential tools people need to empower and enrich the lives of all learners. V.V. Tynes (Ed. ), Behavior of Exotic Pets (pp. 191-205). Ames, IA, Wiley-Blackwell. Manual of Parrot Behavior (pp. 147-163). Ames, IA: Blackwell. Friedman, S.G., Edling, T. & Cheney, C.D. (2006). The natural science of behavior. In G.J. Harrison & T.L. Lightfoot (Ed. ), Clinical Avian Medicine (pp. 46-59). Palm Beach, FL: Spix. Friedman, S.G. (2012). Back in the Black. Rebuild a Bankrupt Relationship. Bird Talk Magazine, Sept., 14-17. Martin, S.A. & Friedman, S.G. (2011). Blazing Clickers. Proceedings of the Annual ABMA 2011 Conference. Proceedings of the Animal Behavior Management Association, Denver, CO, April 17-27, 2010. Conference. Proceedings of the Association of Avian Veterinarians, San Diego, CA, August 1-5, 2010 (pp. Friedman, S.G. (2010). P-A-R-R-O-T do tell. PsittaScene, 32, 14-17. Friedman, S.G. (2009). Right on target. Bird Talk Magazine, 27(3), 20-25. Friedman, S.G., (2008). 10 things your parrots what you to know about behavior. PsittaScene, May. 14-16. Friedman, S.G., et al. (2008). Roundtable discussion. Journal of Avian Medicine and Surgery. 22(1), 66-72.
planning. Journal of Exotic Pet Medicine. 16(1), 6-10. Friedman, S.G. (2005). Straight talk about parrot behavior. Good Bird Magazine, 1(3), 18-20, 62-68. Friedman, S.G., (2005). He said, she said, science says. Good Bird Magazine, 1(1), 10-14. Friedman, S.G. & Brinker, B. (2001). The ABCs of behavior. Original Flying Machine, 9, 25-28. Friedman, S. G., & Hofmeister, A. (1984). Matching technology to content and learners: A case study. Exceptional Children Journal, 51(2), 130-134.